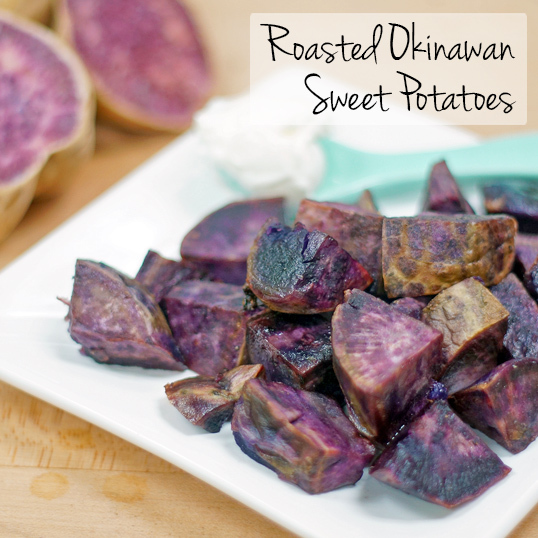 In bowl, toss sweet potato pieces with olive oil, salt, and pepper until well coated. Transfer to sheet pan and spread into single layer. Roast 40-45 minutes until tender. Turn once about halfway through for even cooking. Serve hot. Serving suggestion: serve with sour cream on the side.